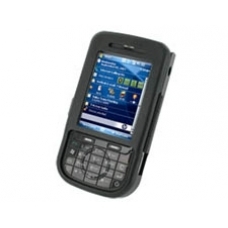 The PDair aluminium hard case for the HP iPAQ 614 Business Navigator is elegant and protective. Built from the highest quality materials this small investment will protect your iPAQ in style for years to come. Manufactured from 100% aircraft grade black anodised aluminium with a thin neoprene lining, the black aluminium hard case measures slightly more than your iPAQ PDA itself. * Lightweight, Thin and Strong. * Easy Access to all Buttons and Features. * Cutouts give Easy Access to all Handheld Features. * Removable 360 degrees Belt Clip Included. * Neoprene Inner Lining for Extra Protection and Shock Absorber. * Transparent Plastic Protection for the Screen.